The "Divergent Series: Insurgent" movie is a follow up to the first installment of the original Veronica Roth novel series that took the world by storm. The story of "Insurgent" movie took place just five days after the events that happened on walled-city of futuristic and post-apocalyptic Chicago in the "Divergent" movie. In "Insurgent," Tris (played by Shailene Woodley) and Four (Theo James) lead a group of Dauntless, Erudite, and Abnegation factions to have an "insurgency" plan against the evil will of Jeanine (played by Kate Winslet). Meanwhile, Jeanine's group of Dauntless army found a legendary box that is hidden under the house of the Prior's (Tris' parents), where it is said that only a Divergent can open. No one really knows what's inside the box, that is why Jeanine is determined to find the rightful Divergent who possesses the power to open the legendary box for her own will. From book series to movies, read how "Divergent" author Veronica Roth came up with an amazing story, here. The movie "Insurgent" is an awesome sci-fi movie experience that you shouldn't miss, especially to those fans of the book. The visually-astounding special effects and CGI's gave the movie an added texture and depth when it comes to telling the story and brought justice to what was being asked for in the storyline. The believable "simulations" were taken to a higher level as compared to that of the first movie. I must say, this sequel movie is better than the first. I guess one thing is very much common to sci-fi movies of the same plot or genre -- that there will always be someone to be called as "The One," he/she will experience a breakdown scene at some point, and will rise again somewhere towards the end of the movie. But wait, there's more! Yes, there will be a third part of the movie (probably in two parts) entitled, "Allegiant." Check out these "Insurgent" Movie Character Posters, here. However, may I point out that the movie "Insurgent" also have cliches in the story, actually, a lot of them. But that's okay, because I really enjoyed watching the movie. I won't mention anything to avoid myself from bringing out some spoilers to the "Insurgent" movie. But I will be happy to say that I like the plot of this "Divergent" series, which is much better from the movies with similar plots, genres, and storylines such as the likes of "The Hunger Games," "The Mortal Instruments," and "The Maze Runner" among other young adult sci-fi or post-apocalyptic novel series. Overall, I will give the movie "Insurgent" a high recommendation when it comes to giving entertainment as a moviegoer, a high rating for special effects, and a good rating for storyline. The "Divergent Series: Insurgent" movie is now showing in the Philippines and will be shown in the US on March 20. Enjoy! 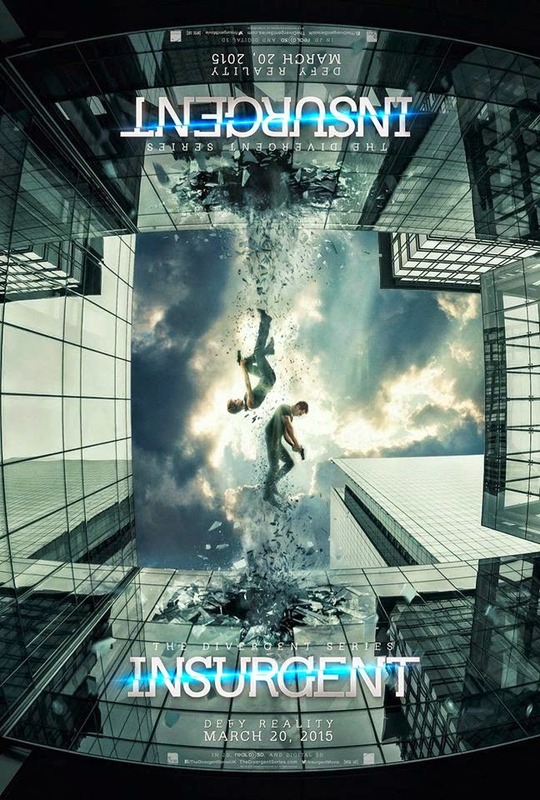 Watch the official movie trailer of "Divergent Series: Insurgent" here.